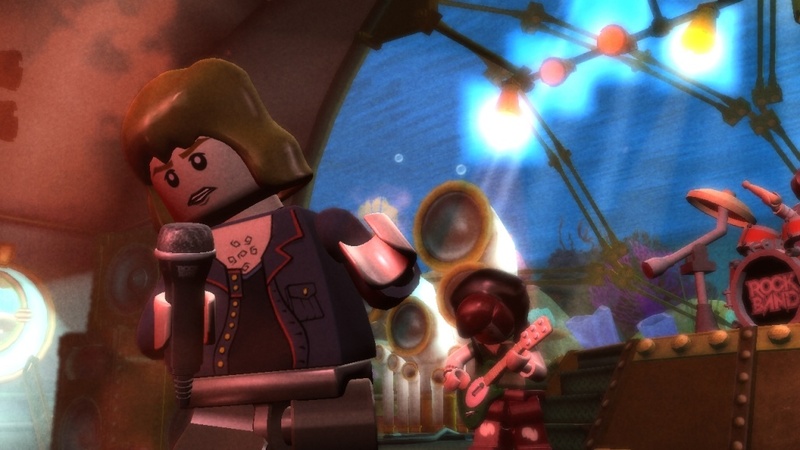 Today Warner Brothers and MTV have announced one of the most family friendly co-op games to date - LEGO Rock Band. The game will combine the multiplayer music fun of Rock Band with the family friendly and light hearted nature of the LEGO Games. 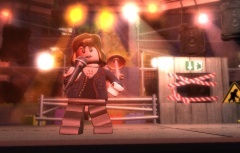 Currently LEGO Rock Band is slated for a Fall 2009 release with versions for the Xbox 360, PlayStation 3, Wii, and Nintendo DS. The song list from the game will also feature more family friendly and upbeat songs. Here's the first list of what's available. Gamers will be able to customize their LEGO Rockers with various things that LEGO people wear...like..uh...LEGO rock hair and stuff. One interesting note, the press release states the game will support Rock Band and other musical controllers - but it doesn't state that unique instruments will be released for this version. Burbank, Calif. – April 21 2009 – Warner Bros. Interactive Entertainment and TT Games are joining forces with the LEGO Group, Harmonix and MTV Games, a part of Viacom’s MTV Networks (NYSE: VIA and VIA.B), to merge two of the most popular videogame franchises with the creation of LEGO® Rock Band®. The unique family-friendly music experience is currently in development by TT Games in partnership with Harmonix, and published by Warner Bros. Interactive Entertainment. The game, which will allow families, tweens and teens to experience a wild journey to rock stardom where they can “Build a Band and Rock the Universe”, will be available for the Xbox 360® video game and entertainment system from Microsoft, PLAYSTATION®3 computer entertainment system and Wii™ home videogame console. 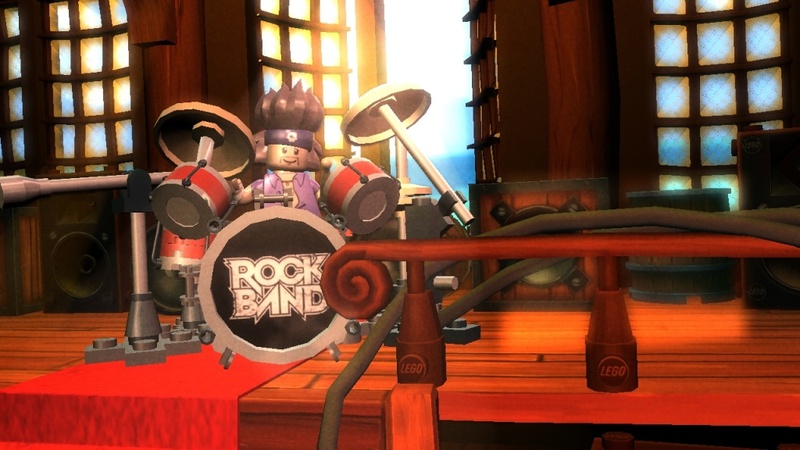 LEGO Rock Band for Nintendo DS™ will be co-developed by TT Games and Harmonix in partnership with Backbone Entertainment, a Foundation 9 Entertainment studio. All versions are scheduled for 2009. “Rock Band is a social game experience that crosses every generation and every genre of rock,” said Bob Picunko, Senior Vice President of Electronic Games for MTV Games. 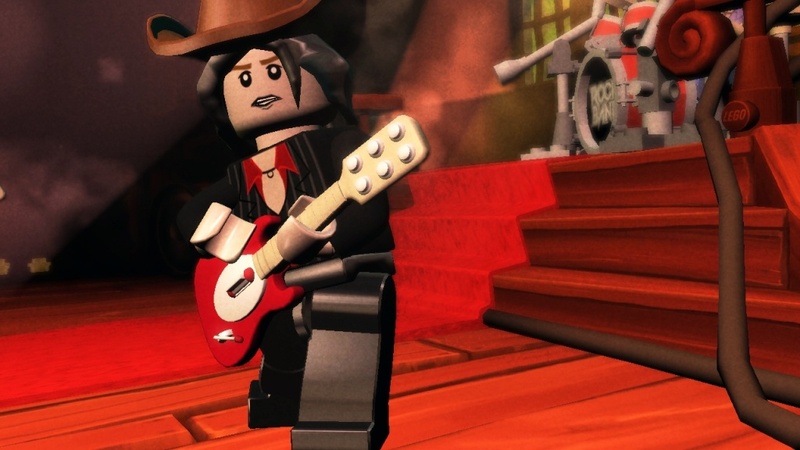 “Harmonix and MTV Games are big fans of the LEGO game franchise and excited to work with TT Games to develop a new take on Rock Band that focuses on great music and LEGO humour that’s fun for the whole family. Page created in 0.7245 seconds.